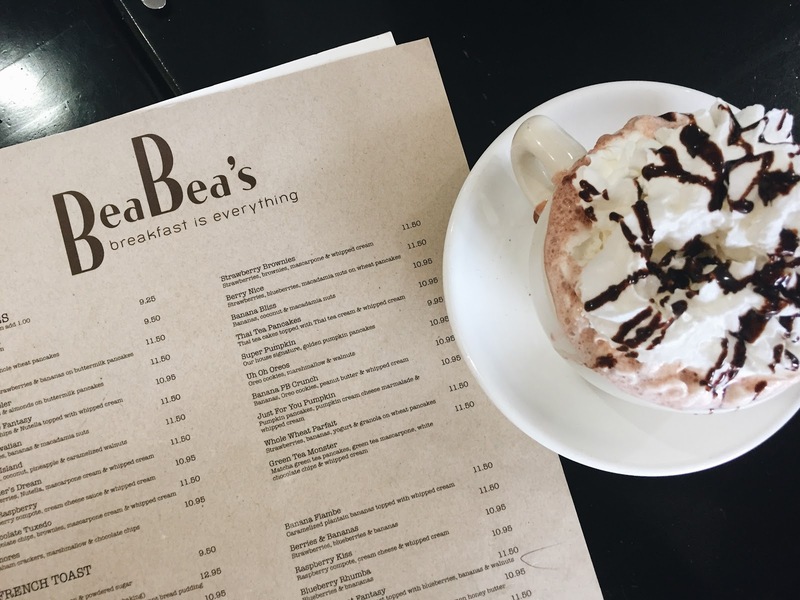 Located in Burbank, Bea Bea’s is a great place to get your breakfast needs. Their prices are affordable with their portions to be out of this world. I first found out about this family-owned restaurant through Instagram photos and saw they had green tea pancakes (I repeat, green tea pancakes!!). I dragged Chris out here one day but they had ran out of the pancakes I lusted for. Instead, I settled for the taro pancakes which were meh in my opinion. Chris opted for the chocolate waffles. I sent my younger brother photos of the food and he convinced my dad to take us there. 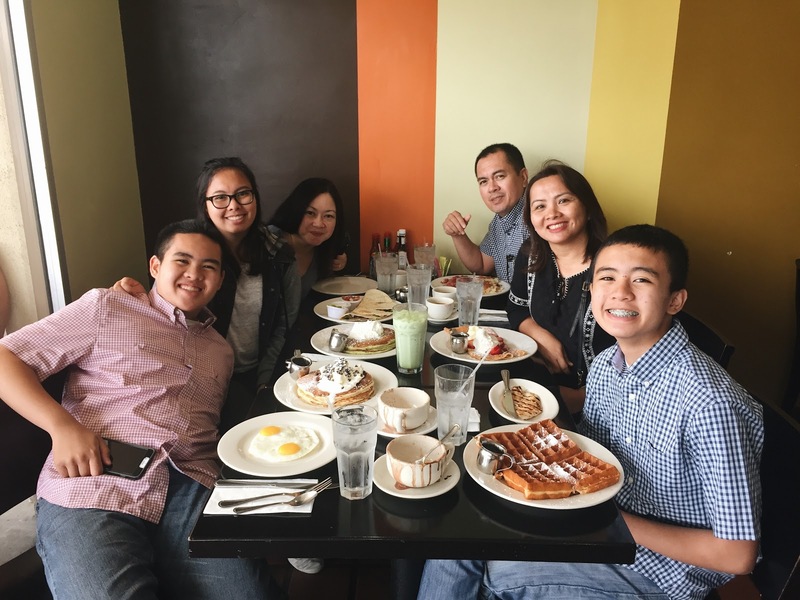 So for Mother’s Day, we decided to have brunch at this little corner cafe. On Mother’s Day, the place was way too packed – we waited in line for an hour! My aunt came with us that day and we shared the green tea pancakes and the veggie quesadilla. My dad went with his usual corned beef plate and mom with her strawberry creme crepes. My brothers got waffles with sides of eggs and chicken strips. 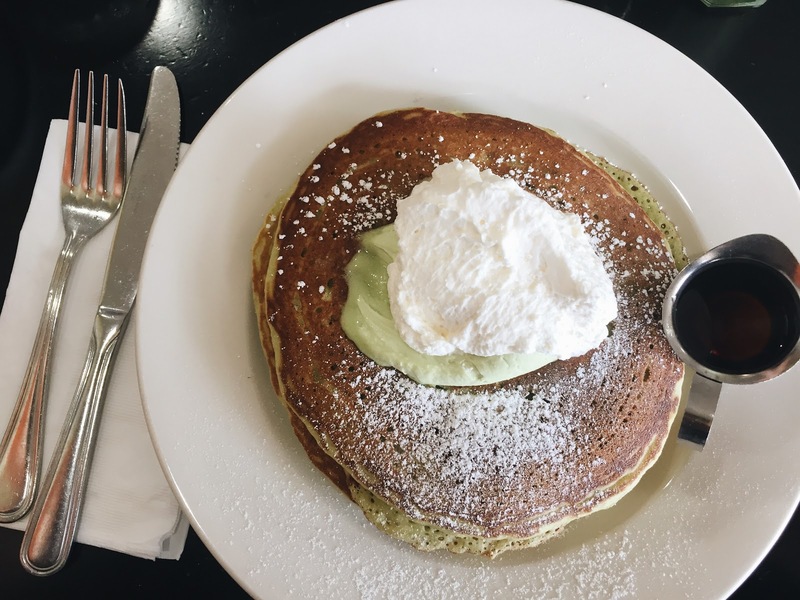 The green tea pancakes were everything I hoped for and more – I still daydream about the day those pancakes meet my mouth again. Rate 20/10 already inching to go back! They have a very extensive pancake and waffle menu and it’d be such a crazy experience to try it all! One bite at a time, my friends! It looks super delicious! Hope you has a great time! That place looks amazing! The chocolate waffle is right up my alley but the green tea pancakes sound incredible also. 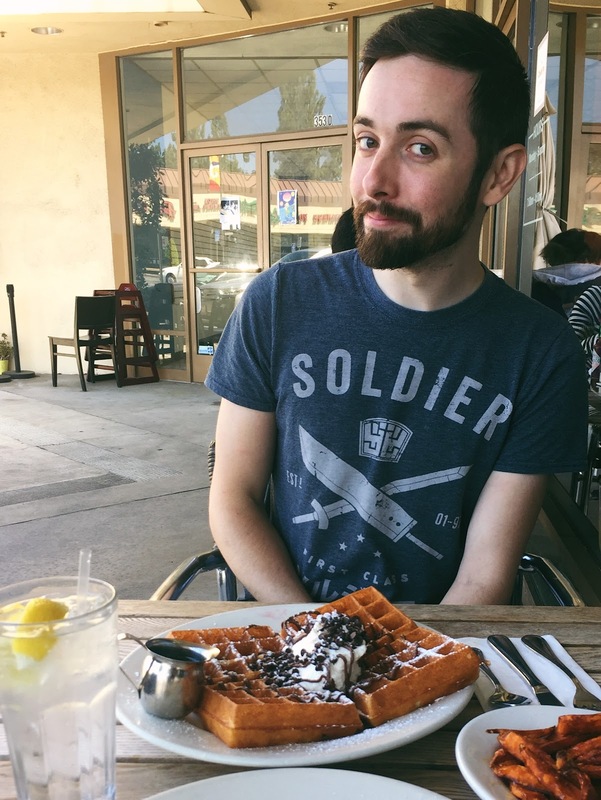 I haven't head a proper waffle in so long so I would love to have some of those tasty treats! 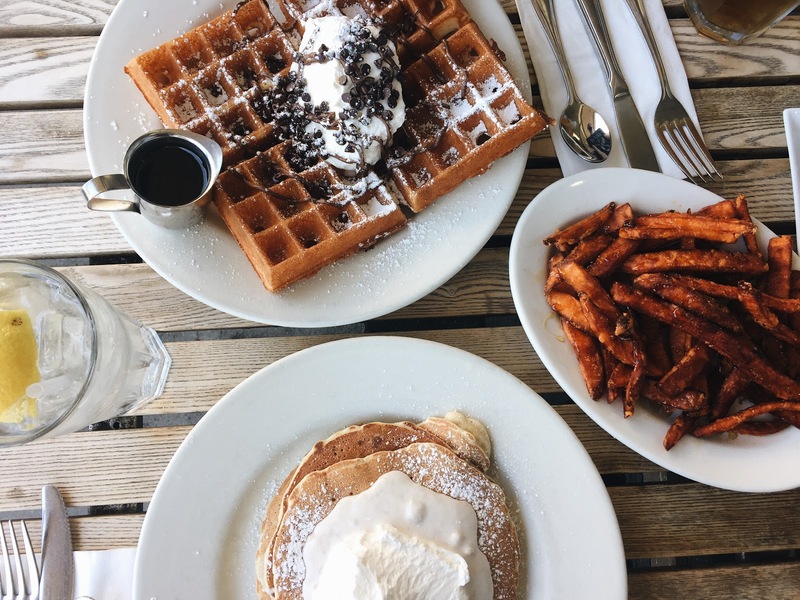 I'm not a breakfast type of person but holy pancakes and waffles, I would love to wake up early for that breakfast meal. I'm not a fan of breakfast but this could be an exception! Those pancakes and waffles! Oh my gosh I'm drooling already. Hahaha. the foods make me want to actually get up early in the morning haha! I'm a person who doesn't have breakfast daily because I'm too lazy to wake up early but damn the breakfast meal looks great! 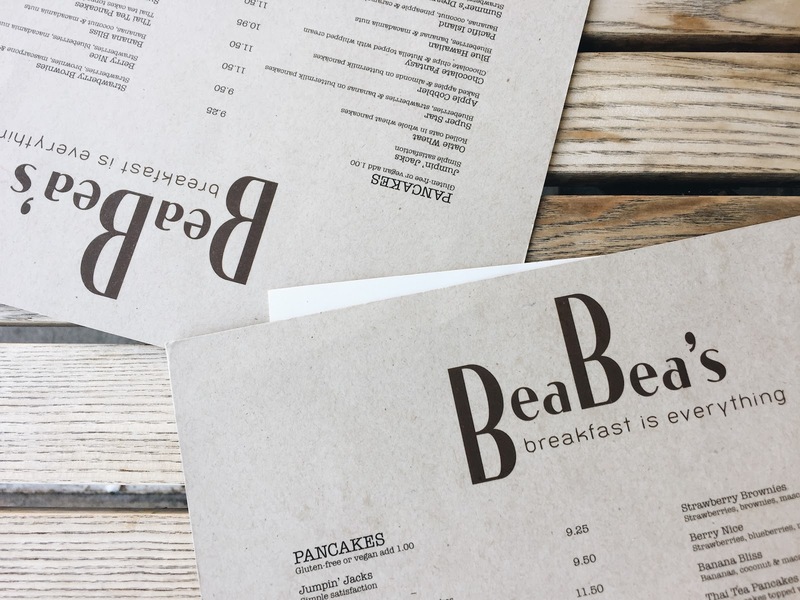 I'm glad you clarified the pronunciation of the resto because I initally thought Bea like the name lmao But that's one thing I've observed in the US, Bea is actually pronounced "bee." Those are green tea pancakes?! I live! I prefer waffles to pancakes but whatever, it's green tea, I'm jumping ship. Also, I am your dad. I would've ordered a corned beef meal if there wasn't a green tea pancake lmao very "Pinoy"
I can't believe how I pass Bea Bea's every time I drive to work! The prices look right and the food looks 100x better than IHOP/Denny's! When I saw the name for the firs time, I thought of it as "bay-ah bay-ah's" XD. The green tea pancake looks delicious! I swear, everything that has green tea is delish. Glad you enjoyed your time there! Thanks for sharing ;)! Out of all the three meals, breakfast is my favorite! That's what I always look forward to especially when we're checked in a hotel or a resort and they offer buffet breakfasts!!! Haha. Anyway, those waffles and all those whipped cream look so mouthwatering!!! Omg I love breakfast, this looks so bomb! I feel like I'd love this place. Umm.. those servings look ENORMOUS! Especially those waffles. Everything sounds and look delish! Omg green tea pancakes sound amazing! Glad you got to try them the second time around! I'd probably wait an hour to have them too!